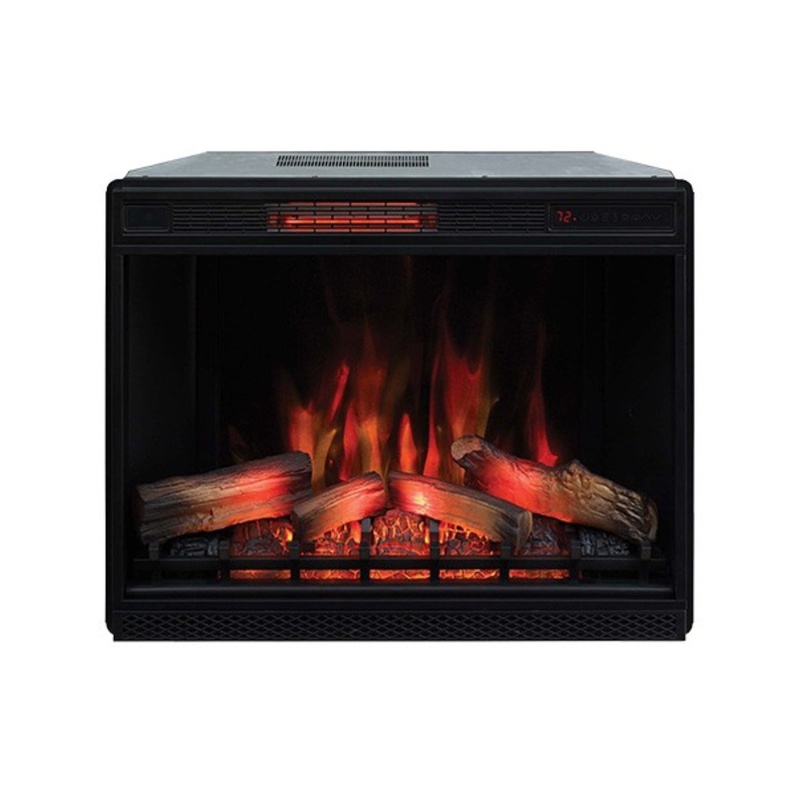 33″ 3D Infrared Quartz Electric Fireplace Insert with Safer Plug™ and Safer Sensor™. Patent pending Safer Plug™ fire prevention technology monitors the temperature of the plug to prevent electrical fire, circuit or product damage. Patent pending Safer Sensor™ fire prevention technology alerts you when the heater is obstructed and will automatically shut off to prevent damage. Safe for use around children and pets. Eco-friendly, energy efficient fireplace does not emit any emissions or other hazardous byproducts.